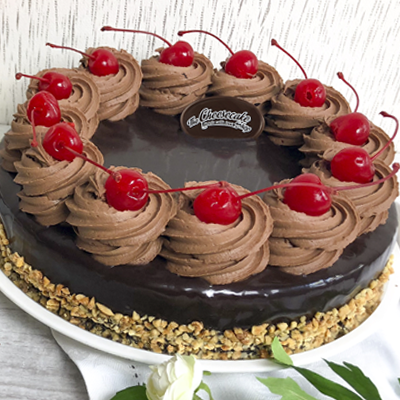 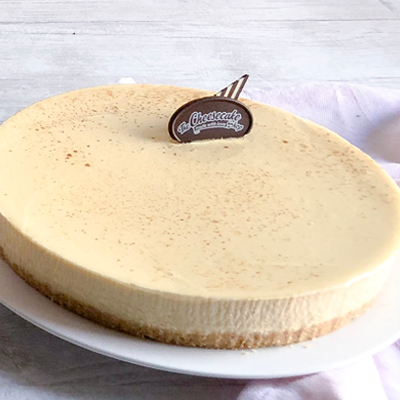 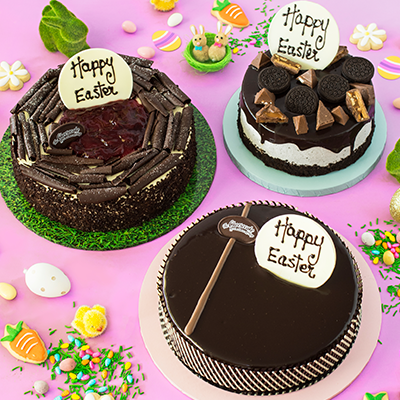 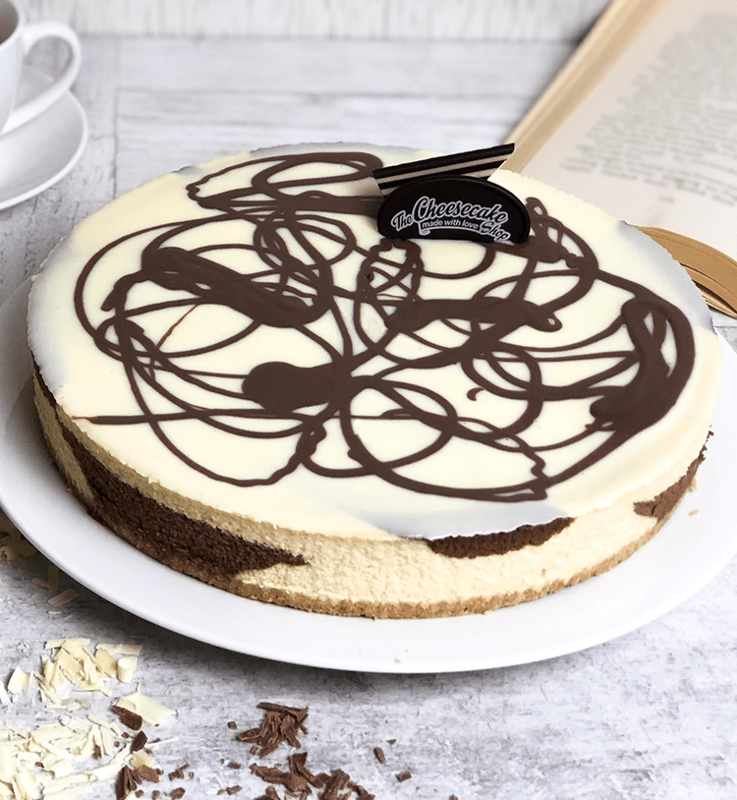 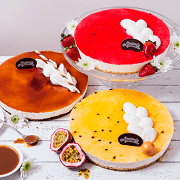 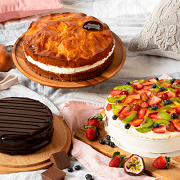 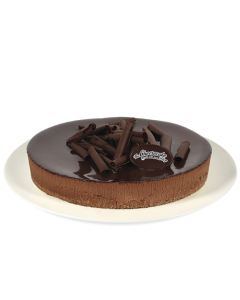 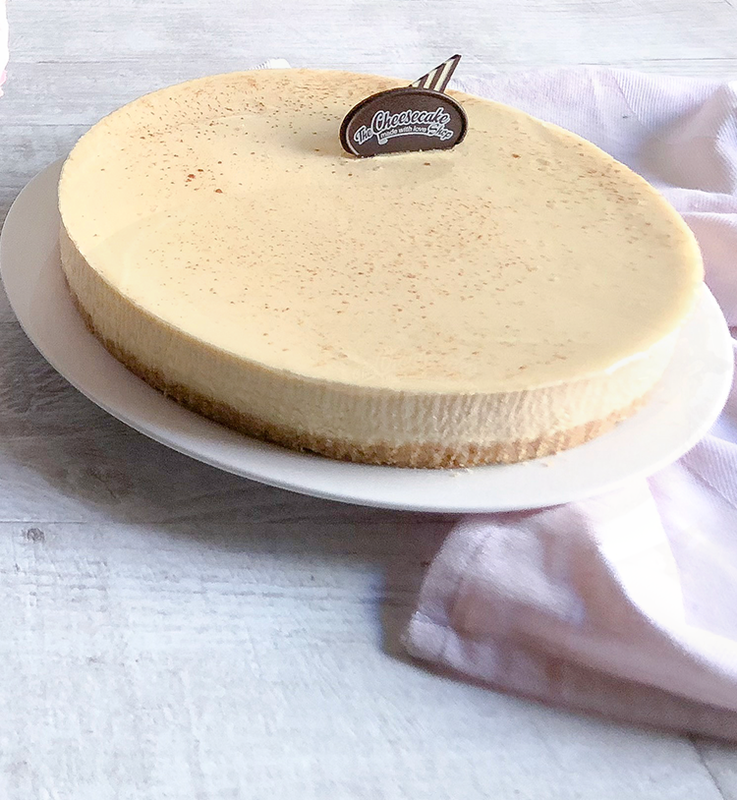 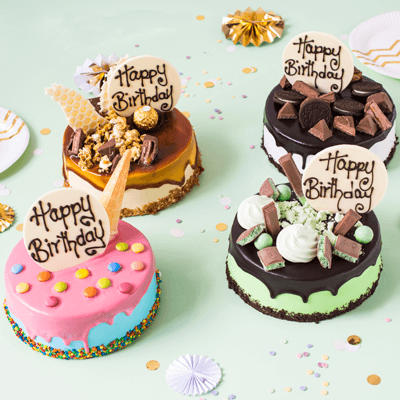 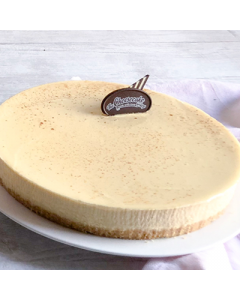 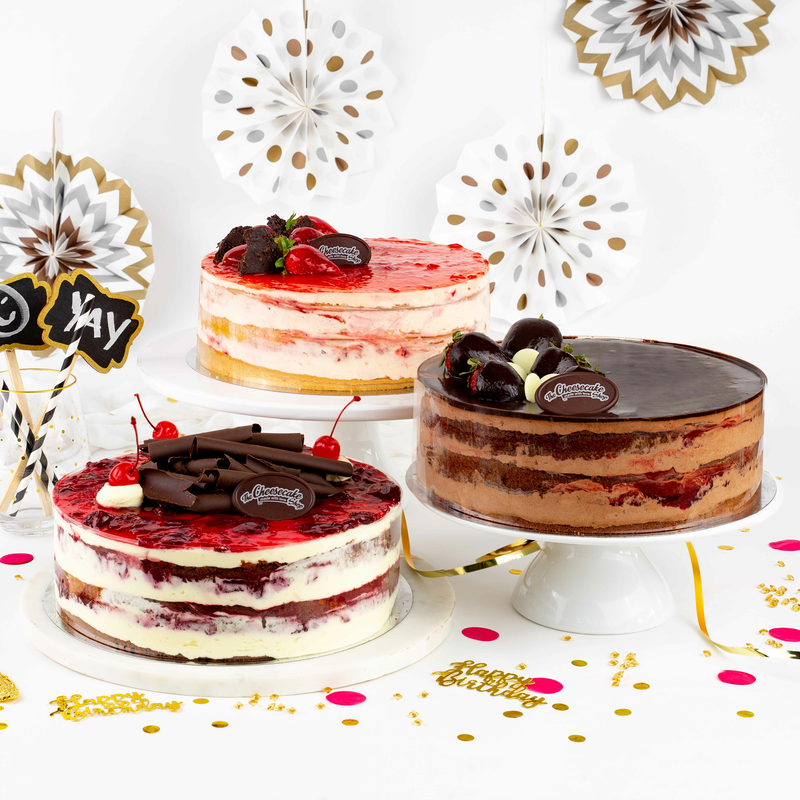 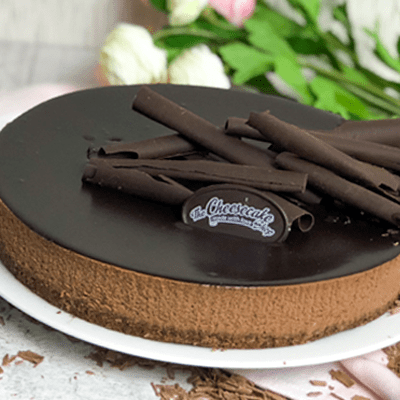 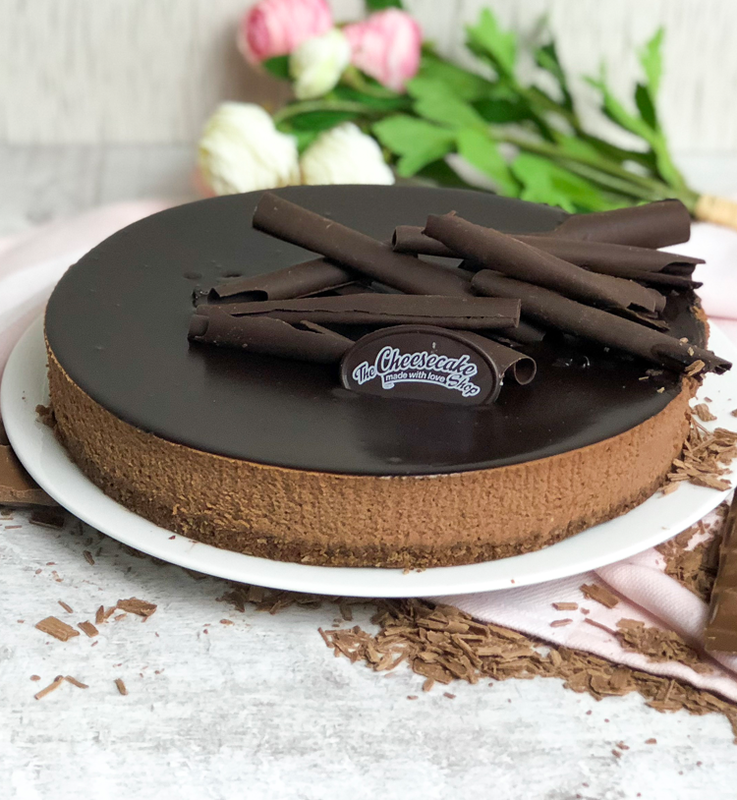 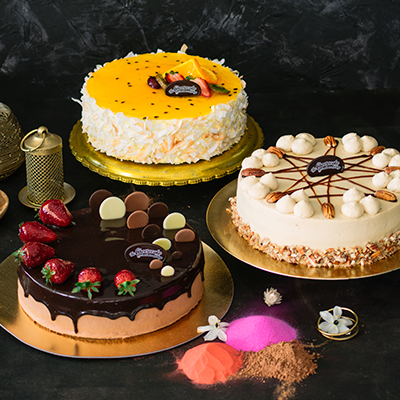 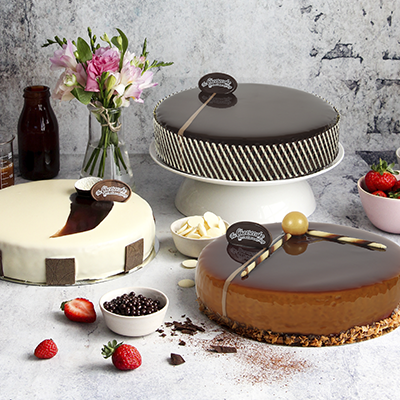 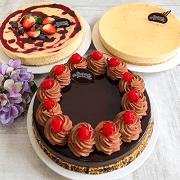 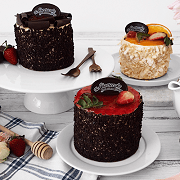 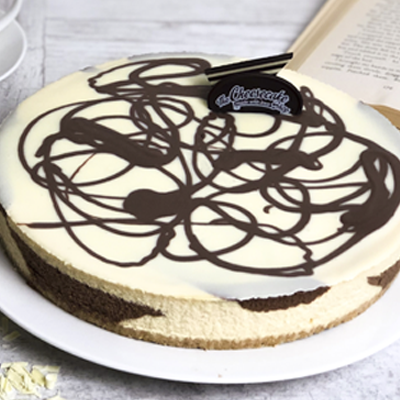 Our traditional baked cheesecake recipe, finished with a hint of vanilla and Belgian chocolate flourishes. 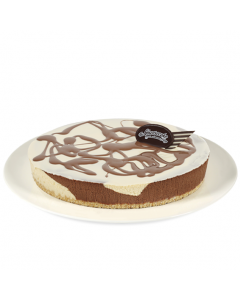 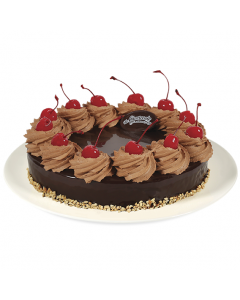 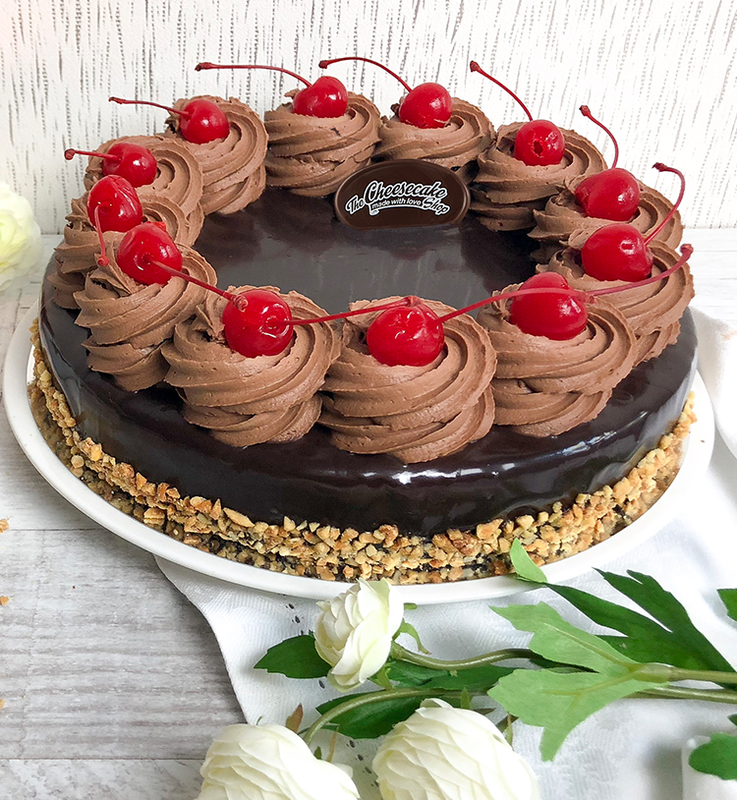 Swirls of rich chocolate and heavenly vanilla combine to create this luscious baked cheesecake delight. 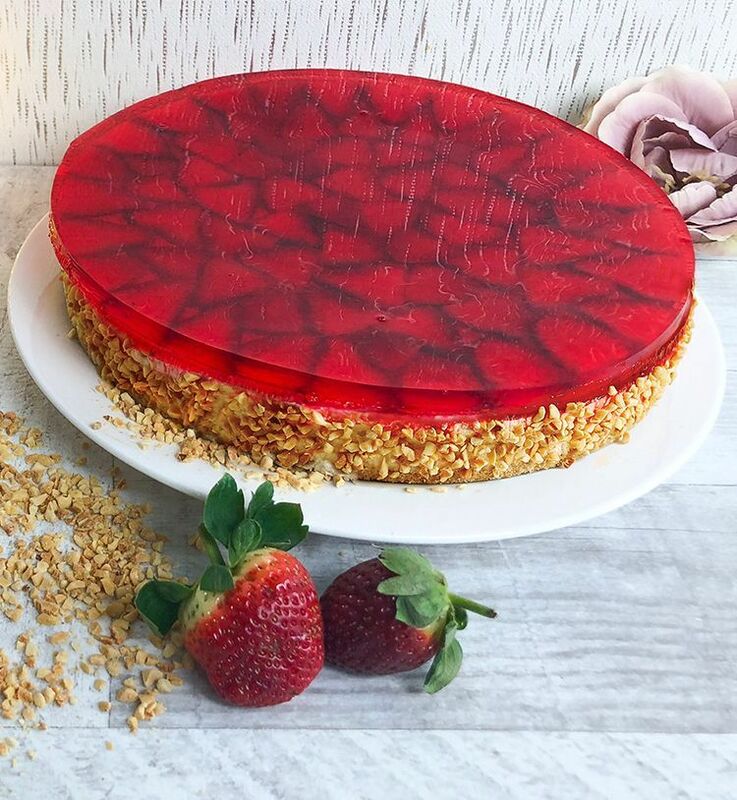 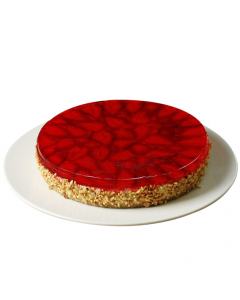 Our classic baked cheesecake glazed with fresh strawberries and crushed peanuts on the side (Seasonal fruit is subject to availability). 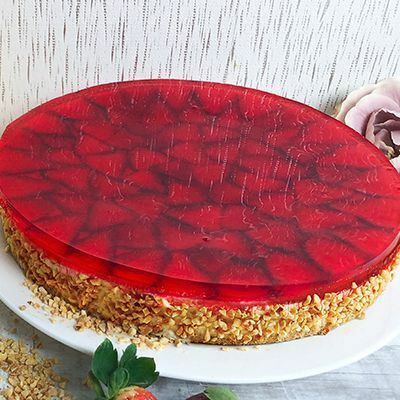 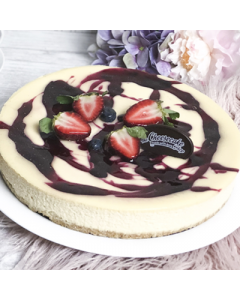 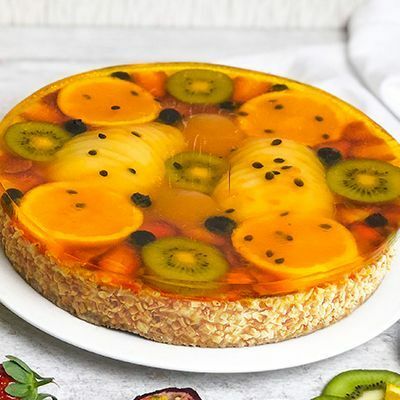 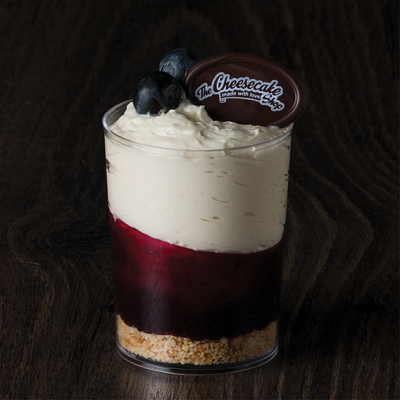 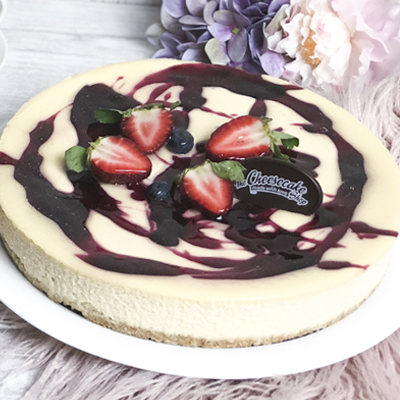 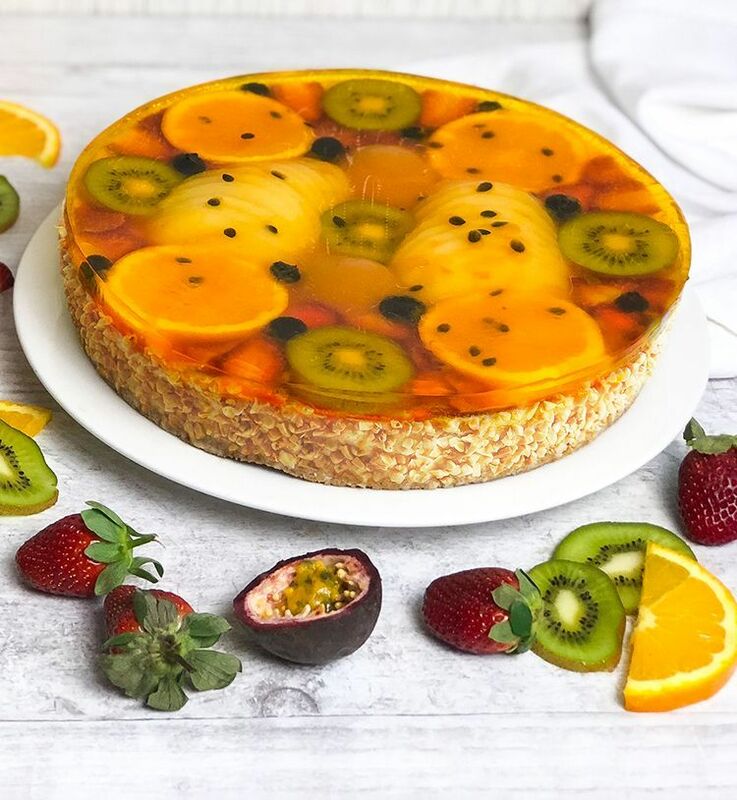 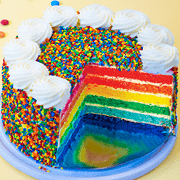 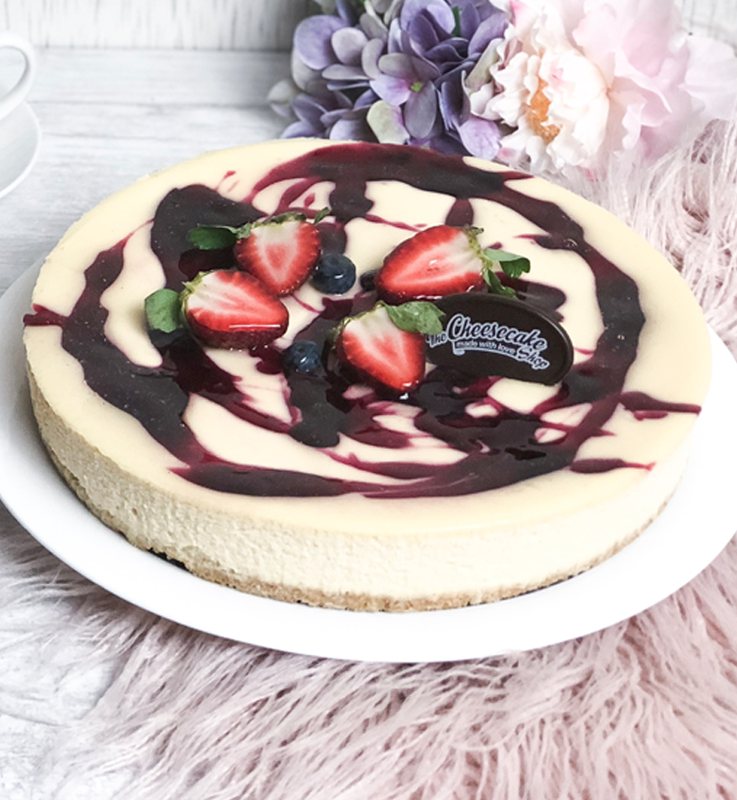 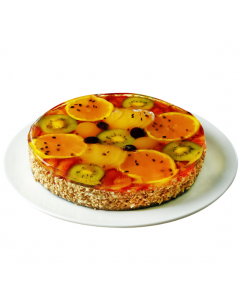 Baked vanilla cheesecake garnished with a mouth-watering blend of natural blueberry and strawberry pulp (Seasonal fruit is subject to availability).